South Koreans saw the first snow of this winter on Saturday, which happened to be the highest level of snowfall in history. 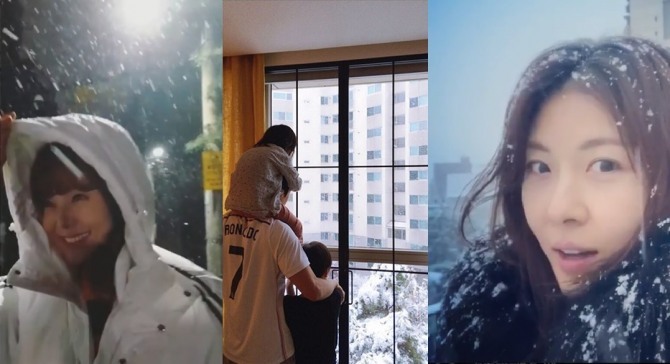 With snow having piled up to 8.8 centimeters in Seoul as of 10 a.m., celebrities were quick to go on Instagram and share their reaction to an unexpected surprise from Mother Nature. 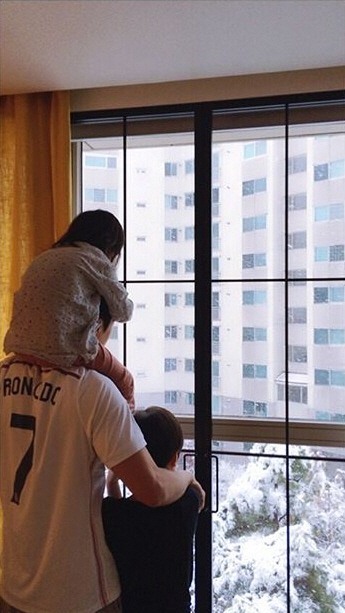 Actress Son Tae-young took to her Instagram and shared a loved-up snap of her husband Kwon Sang-woo alongside their children looking out the window and taking in a snow-covered view of their building block. With the kids closely positioned to Kwon and the couple’s apartment dimly lit, the snap made for a perfect Christmas postcard. Fans also got a glimpse of her cozy apartment which had a grand piano. Bora cracked a wide smile as she lay in snow. Heavy snow seemed to have lifted her mood as the singer bundled up in a thick black long parka to stay warm outside. Being the comic that he is, Yoo Byung-jae did not miss the chance to find humor in the weather. 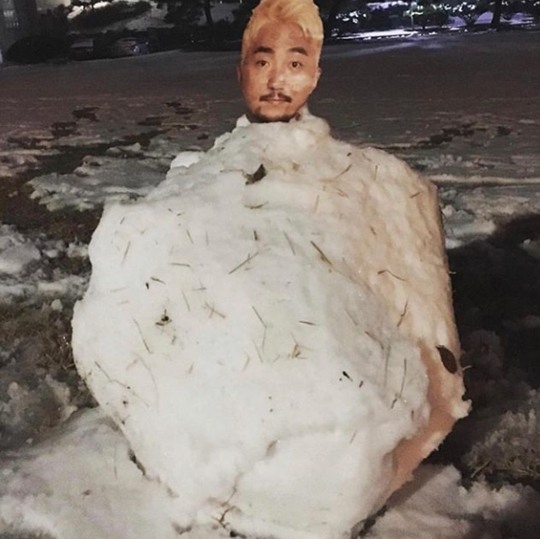 In a post on Instagram on Saturday, Yoo put a picture of his face on top of the half of a snowman. So Yoo-jin seemed undeterred as she had some filming to do in the early hours of Saturday. Heavy snow continued to fall but if anything the snowy weather only seemed to get fired the actress up as she smiled and jumped around.